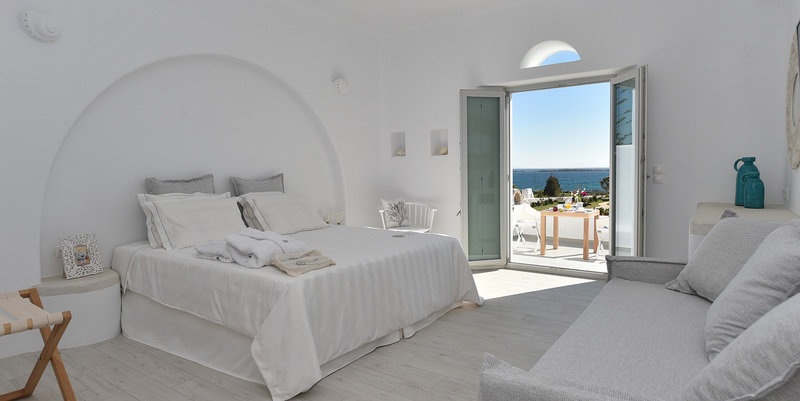 Comfortable, elegant and furnished with special care, Junior suites provide a luxurious haven with high quality services for an unforgettable stay with sea view. In an area of 28 square meters, these junior suites offer a spacious bedroom with sitting area and private terrace for endless relaxation. 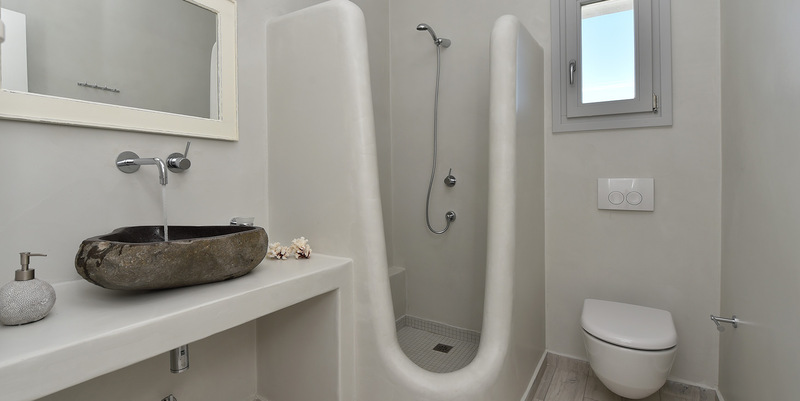 The combination of white, blue colors and natural wood manage to incorporate in a single area the Cycladic beauty and luxury but also add a touch of island charm to the atmosphere. 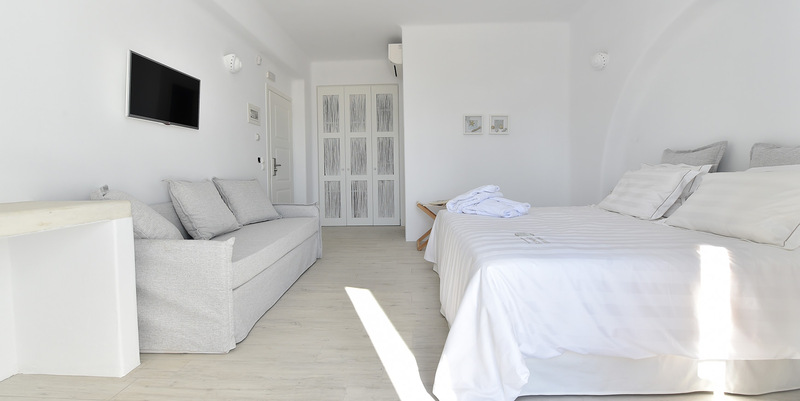 Junior Suites can comfortably accommodate up to 3 people and are recommended mainly to families with one child who wish to enjoy their holidays in a dreamy haven of the Aegean.